Sports, arts and entertainment management students traveled across the country to volunteer at the Pollstar Live! 2016 Music Conference in San Francisco, Calif., and network with music industry professionals. "I decided to volunteer and attend the Pollstar conference because I have been passionate about pursuing a career in the live entertainment industry since I was a freshman in high school," explained Ericka Thomas, a sophomore SAEM major. "The Pollstar conference gave me an opportunity I would never have gotten working on my own. Not only did I learn a lot from the workshops I attended, but I also got to speak with people working in the industry across the country." SAEM Associate Professor Ed Traversari, M.B.A., who has 40 years of experience working in the live entertainment field, accompanied the students on the Feb. 9-12 trip. "This is our fourth year taking a selected group of SAEM students to the Pollstar conference. I love taking them to this conference because I know that some of the biggest names in the live entertainment business are going to be there," said Traversari. The conference's keynote speaker was Vivek Ranadive, owner of the Sacramento Kings, while Paul Stanley, frontman and rhythm guitarist for KISS, served as the keynote artist. In addition to volunteering and networking at events, the SAEM students attended workshops on new marketing strategies, the recording industry, social media, sponsorships, sustainable concerts, data driven touring, booking agents, music managers and more. "My favorite workshop at the conference was 'Women's Leadership Forum: Succeeding in a Boys' Club.' This panel discussion was great because it consisted of all female leaders who are working in the music industry in many different types of positions. I enjoyed hearing all of their stories and how far they have come," said Haley Olah, a junior SAEM major. 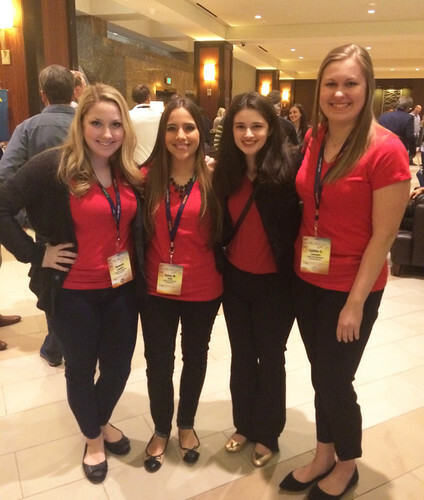 For SAEM junior Caitlin Leasure, the women's leadership forum was also her favorite workshop. "The women were all presidents and managers of amazingly successful companies like Live Nation and Madison Square Garden. They gave great advice for women just stepping into the industry," remarked Leasure. During the trip, the students toured the city and met with Point Park SAEM alumni Joseph Adams and David Jacobs, who currently live and work in San Francisco. "Networking was definitely the most beneficial part of the trip, whether it was with industry professionals at the conference or with Point Park alumni at dinner," said Leasure. Olah added: "This conference was a great experience because I got to explore the beautiful city of San Francisco, make new friends and learn more valuable information about the music industry than I ever could have anticipated!"